3-0 Away Win: Fan divisions detract as Villa seize 3 points at Barnsley. Embed from Getty ImagesSaturday evening, Villa took a big step towards getting the season properly started with a well-earned victory over Barnsley. In short, it’s a welcome three points, three goals and victory away from Villa Park. The win lifts us to 13th and just 5 points from the playoff spots, with a very winnable cluster of fixtures to come over the next few weeks. Up front, Villa looked a potent force with Kienan Davis and Jonathan Kodjia showing the beginnings of an unexpected partnership. In the midfield, Conor Hourihane’s good form continued and newly arrived loanee Robert Snodgrass provided welcome quality. At the back, James Chester and John Terry produced an excellent combined display. Sam Johnstone continues to grow into the number 1 role. What’s this? The spine of a football team? Whilst Villa were pressed at times, the defence held firm. More pleasing was the threat we carried. Villa had an “out” ball to exploit and did so to great effect, with Barnsley turning on their heels repeatedly across the 90. John Terry, having had few stand-out moments in a Villa shirt to date, delivered his best performance of the season. Positionally excellent and a constant talker, his experience shone through. Albert Adomah grabbed a deserved brace and rightful plaudits with it. His first showed great strength, holding off the defender to prod the ball past the advancing keeper. The second, a coolly despatched penalty on the stroke of half-time. On top of this, the former Middlesbrough man stretched the opposition at every opportunity. A real menace. And deserved credit once again goes in the direction of Kienan Davis. Such is the meteoric rise of the youngster, largely unpredicted even by those whom have watched the Under 23’s last year, is a welcome bonus. Strong, agile and a genuine threat, the 19 year old was rewarded for his efforts with a headed goal early in the second half. Davis is fast becoming an unknown quantity for opposition teams and represents a tantalising prospect developing before our eyes. Overall, it was a hard-earned, professional and ultimately comfortable away win. Whilst many celebrated a timely victory, and one which came away from home, there continues a vocal debate amongst supporters centred around Steve Bruce. Whilst a manager lurching from game to game might be nothing new for Villa in recent seasons, the appetite and single-mindedness in some quarters to remove Bruce at all costs, defies rationale debate. Whilst Bruce is often under the microscope on this blog and others, the insatiable demand [from some] to remove him so early this season has increasingly polarised in recent weeks. Whilst Villa have by no means set the world alight of late, with underwhelming showings against Brentford & Middlesbrough, this is against a backdrop of comprenhesive wins over Norwich & Wigan. Not to mention that Villa are unbeaten over this period, continue to integrate new players whilst there’s a positive inclusion of young talent. This was covered off in some detail in the Podcast (Episode 27). It’s odd, at least in my mind, that such distain for the boss should be so visible after a victory. Suffer an alarming defeat at Barnsley? It might make more sense; but after a 3-0 win?? Whilst all the flaws we’ve seen to date under Bruce aren’t suddenly “righted” by one win, it’s becoming increasingly obvious that for some fans, Bruce (literally) cannot win. Whilst that’s up to individuals and is their opinion, it does stick out as being rather bizarre. For my mind I can see only two groups. One, a determined ‘Anti-Bruce’ faction, that in the build up to the Barnsley game eagerly anticipated a Villa defeat in the belief that Tony Xia would act upon a set of angry emojis. Even more perversely, there were a good number amongst them on Twitter actually willing an Aston Villa defeat in order that their own agendas (whatever they are…) might be served. To cap this off following the victory, there was vocal displeasure at Villa having actually won the game, presumably as this kept Bruce in a job! What entailed were any number of exchanges between fans, clearly baffled by such a position, who were repeatedly knocked back for wanting the club to win football matches (regardless of the manager). The other faction cares for Aston Villa just as much, but it doesn’t particularly care who the manager is. What it [perhaps] cannot comprehend is why the other group is so desperate for this particular one to fail, even more so after a 3-0 away win! More: Bruce Hysteria? 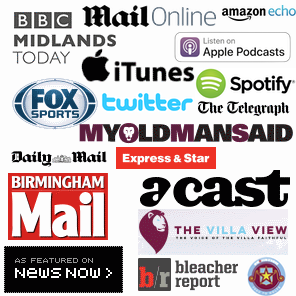 The reasons why Aston Villa should sit tight….for now. 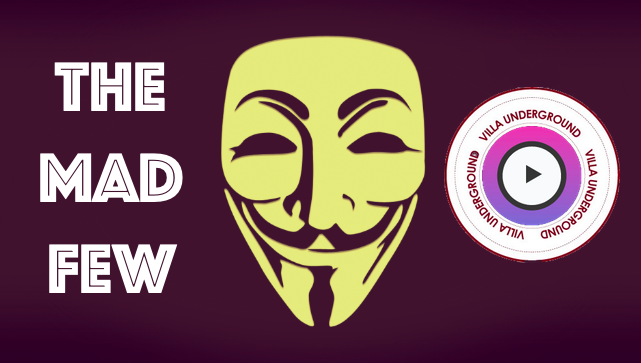 The Villa Blog – Aston Villa win, no defeat in 6 and getting rinsed on social media. 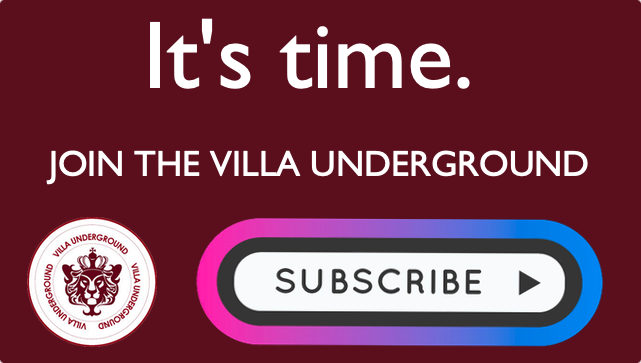 Includes a particular focus upon Howard Hodgson, whom despite holding a position as Director of The Villa Trust (of which The Villa Underground is affiliated) has been vocal in his desire to see Steve Bruce sacked. Conflict of interest anyone? Report: Villa (1) v (1) Wolves – Fatigued & fortunate. Problems laid bare for Bruce. This post is ridiculous, Steve Bruce has won a game but surely you cannot be satisfied with the manner it was achieved, are we to park the bus and depend on long hoofs up the pitch breakaways. Well I’m not, Bruce IS a dinosaur and when you look around at managers in the top two divisions not many are of the same ilk, he may survive this season but that will be all even if we manage to get into the Premier League. He could not manage a team in the Premier League, he would be even further out of his depth than he is now.